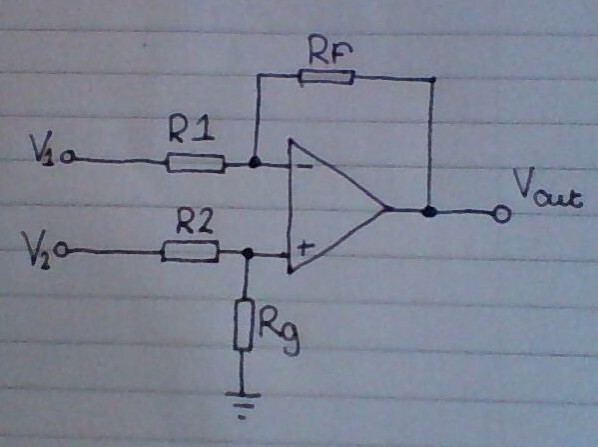 A difference amplifier has two inputs. It compares them both, and then cancels out any similarities between them. Once any common voltages have been cancelled out, the differences are amplified. 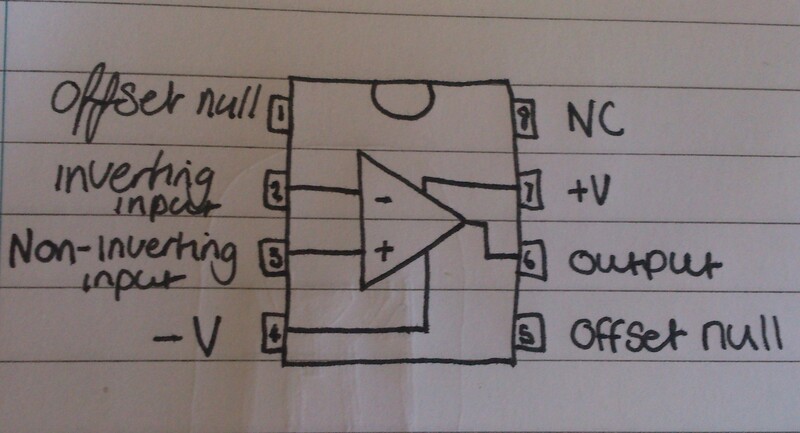 A Schmitt trigger has one input and one output. It sets the output to one of two states depending on the voltage at Vin. Because of the nature of inverting op amp set-ups, the outputted signal will be inverted. When Vin goes below a certain voltage (the lower switching threshold), Vout goes high. 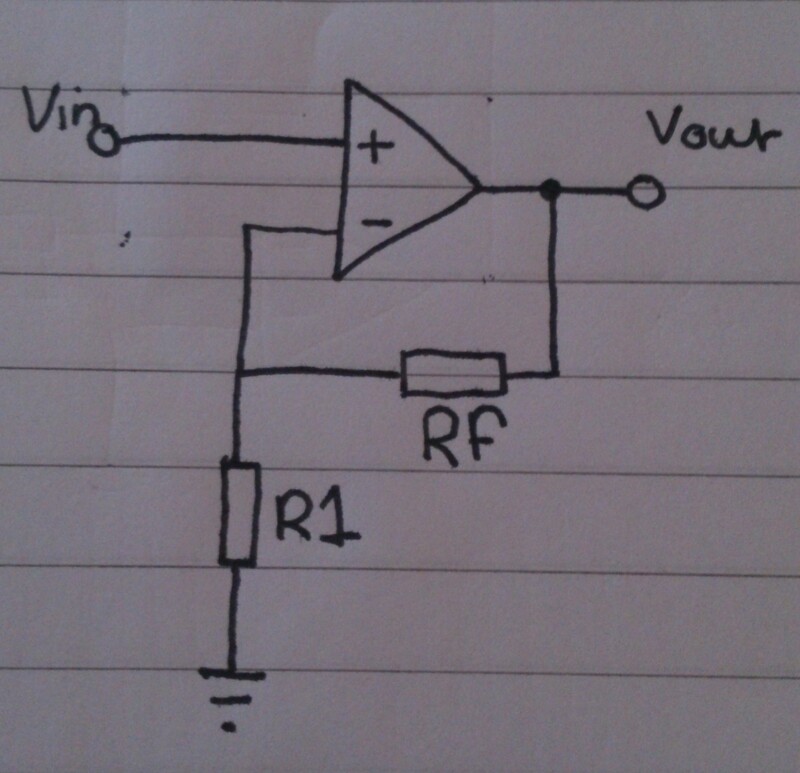 When Vin goes above a certain voltage (the higher switching threshold), Vout goes low. Because Schmitt triggers have an upper and lower switching threshold, they’re much better at cleaning up noisy signals than a single switching threshold. This is because with a single threshold, the noisy signal will jitter between each side of the threshold, causing it to trigger multiple times. 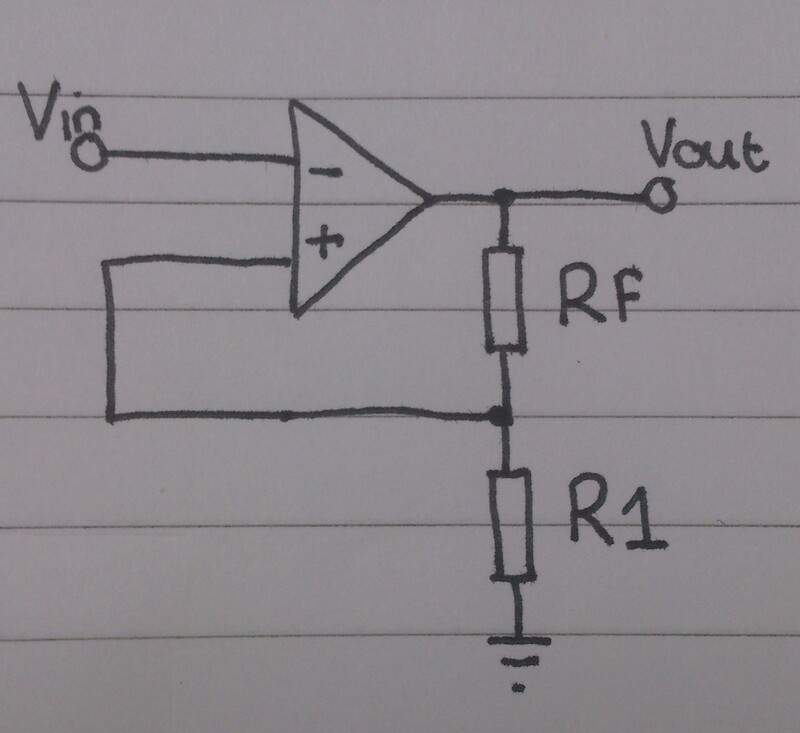 An inverting amplifier increases the amplitude of a signal. But due to the fact that the signal is fed into the inverting input, the output signal will be inverted. However, unlike Non-inverting amplifiers, they can have a gain of less than one. One thing to note quickly. The output can never be higher than the positive supply voltage, or lower than the negative supply voltage. 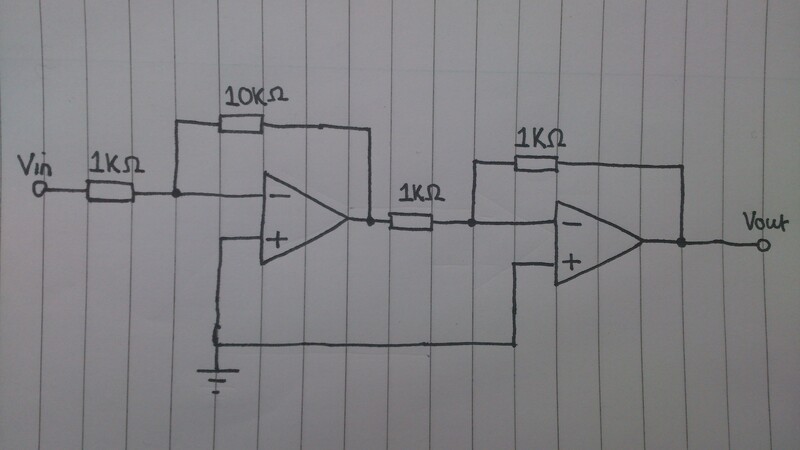 This means that for an inverting amplifier to work you need the negative supply pin to have a voltage below ground (e.g -6v). If two inverting amplifiers are used in series, the inversion can be rectified. A schematic and equation is shown below to demonstrate this. Therefore the total gain of the circuit is 10, meaning that the inversion has been rectified. Op Amps (Operational Amplifiers) are composed of two inputs, an output, and positive and negative power supply pins. Op Amps can be used in many different set-ups, among them being: Voltage Comparators, Inverting and Non-inverting amplifiers, Summing amplifiers, and Difference amplifiers. In Op Amps, the voltage of the output is dependent on the voltages of the two inputs. If the Inverting input is higher, the output will be the same as the negative supply. If the Non-Inverting input is higher, the output will be the same as the positive supply. 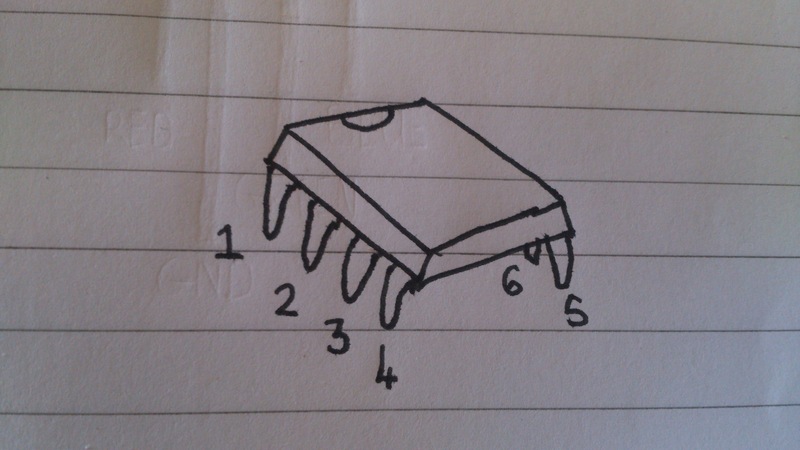 Pins 2, 3, 4, 6, and 7 are the only pins which need to be connected to the circuit in order to use the Op Amp.